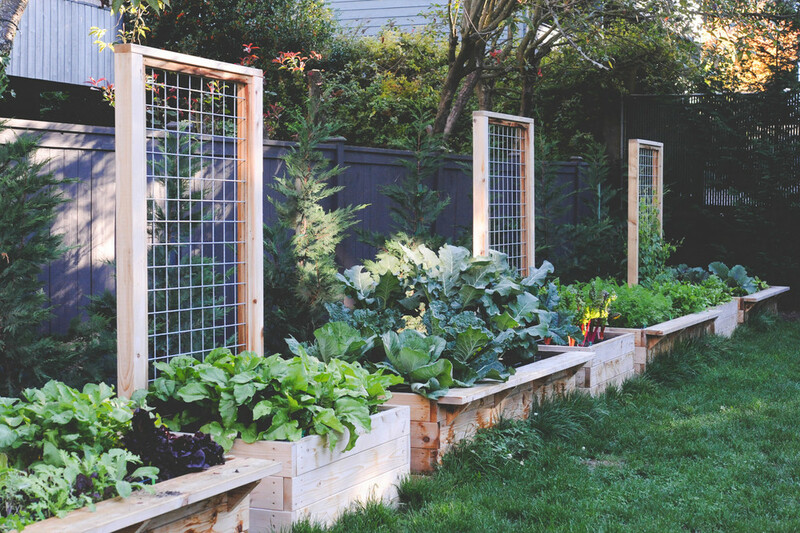 This raised bed garden spans the northern edge of a very private backyard in Broadview. The built-in hog wire fence trellises lend support to annual vining crops like cucumbers, pole beans and winter squash. Built-in benches make it easy to weed the garden and watch backyard soccer games concurrently.